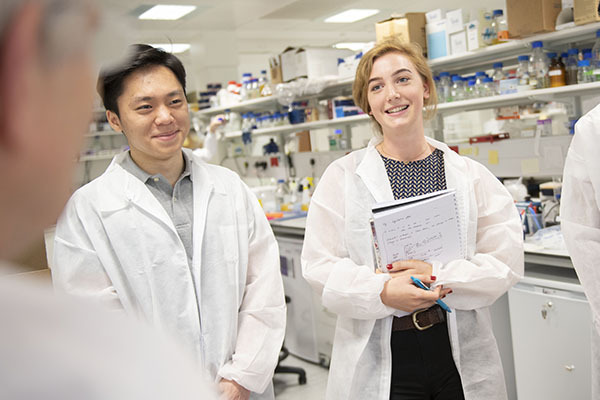 If you decide to come to Warwick Medical School, you'll join a vibrant community of students, educators and researchers. We have a proven track record in excellence in teaching. Our established MB ChB medical programme, which is the largest graduate-entry programme in the UK, produces high-quality doctors. We also offer a range of postgraduate master's, diplomas and certificate programmes, which are undertaken by national and international healthcare professionals across a variety of medical specialities. 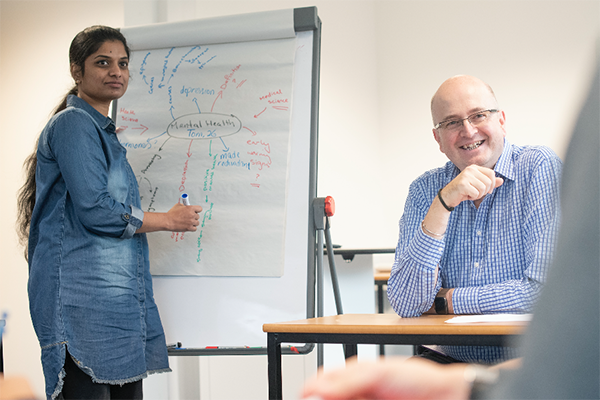 We're equally passionate about research as we are education, and you will have internationally-renowned research academics working with you throughout your course. The University of Warwick was ranked seventh overall among UK research universities in the most recent research assessment exercise, with our researchers successfully working in the fields of Health Sciences, Clinical Trials and Biomedical Sciences. Life at university is about so much more than your course! Where you live, the support available and what you can do to relax is also important. Take a look at the University's undergraduate webpages for all the information you need. Warwick Accommodation has over 6,400 rooms across a range of residences. All rooms are self catered. Each of the campus residences is fully managed and has an excellent network of support staff in the residential life team. As one of the largest and most active students’ unions in the country, Warwick SU is the focal point of campus life here at Warwick. With over 250 student societies, there's bound to be something for you! Warwick campus is a lively, cosmopolitan place with its own shops, banks, bars and restaurants - an exciting place to live and study, with everything you could need close at hand. Warwick Medical School is based at Gibbet Hill, just a 10-minute walk from central campus and the Students' Union. There’s so much to explore outside campus. Thanks to its central location, you’ll find live music, shopping, nightlife, top sports events, theatre, food, culture, peaceful countryside and more, all waiting on your doorstep. The University has a comprehensive welfare structure in place to ensure that you can easily access advice and guidance throughout your time here. There's also a Student Careers and Skills team to help you develop your professional skills and support you when thinking about what comes next. Whatever being active means to you, at Warwick there’ll always be something that fits your goals and lifestyle, from competitive team sports to UV zumba! You'll be one of the first to experience our new Sports and Wellness Centre, due to open in 2019, which will be packed with top-class facilities. Applications are made through UCAS and more information about the process is available on their website. The UCAS institution code for the University of Warwick is W20. We strongly encourage you to visit the University to see the campus for yourself and to get a sense of the student experience here at Warwick. Open days are held several times per year. The University has a large number of international students and here at Warwick Medical School we warmly welcome your application. We are a diverse department with students and staff from all over the world studying and working together. We have a very safe campus and an extensive support structure to encourage your success. The University wants to ensure that wherever possible financial circumstances do not become a barrier to studying here. Warwick provides extra financial support for qualifying students from lower income families. Find out more about fees and funding.